Jim Cantrell, CEO and co-founder of Vector Space Systems who was involved in the early days of SpaceX, wants to do for spaceflight what Apple CEO Steve Jobs did for so many other industries: Revolutionise it. In April, after several years of quietly developing a small launch vehicle akin to a “taxi ride into orbit,” Vector stepped out as a new kid on the private spaceflight scene to do something nobody else had thought of doing: thinking big by thinking small. Its goal: To create a system that could frequently and reliably launch small satellites into orbit, allowing space entrepreneurs to focus on innovation rather than get caught up in the gritty details of launches and satellites. And the company is on the fast track to achieving this goal. 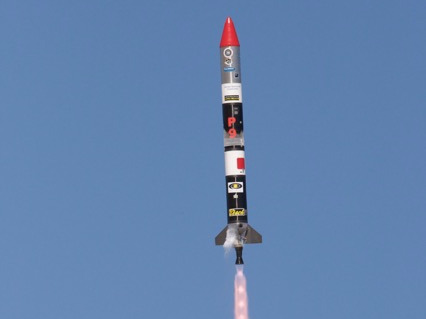 It has already designed the launch vehicle and tested its first and second stage engines. Cantrell anticipates Vector is just two years away from its first orbital launch. While Vector might be the new kid on the scene, Jim Cantrell is something of a veteran. Thirty years ago Cantrell worked on Mars missions at NASA Jet Propulsion Laboratory. He went on to join the joint effort between France and the Soviet Union to build a mission to Mars, becoming an expert on Soviet aerospace companies and rockets in the process. He was later involved in the first wave of new-space, the advent of privately funded spaceflight missions. Cantrell says it was his expertise in Soviet rockets and missions to Mars that attracted Elon Musk, CEO of SpaceX, to him. Musk was looking to send a mission to Mars using Russian rockets, which were tens of millions of dollars cheaper than US rockets. When the Russians refused to sell these rockets to Musk, Cantrell said, he decided to build his own, and SpaceX was born. But while Musk was interested in the big stuff — using a 230-foot-tall rocket to launch massive satellites into extremely high orbits, servicing a mature market, and building the infrastructure to colonize Mars — Cantrell wanted to focus on the small. In his post-SpaceX years, Cantrell became involved in the latest wave of investor-funded space companies. And about a year ago it occurred to him — the smaller, lower end of the satellite market is rapidly expanding, and yet nobody is really servicing it. 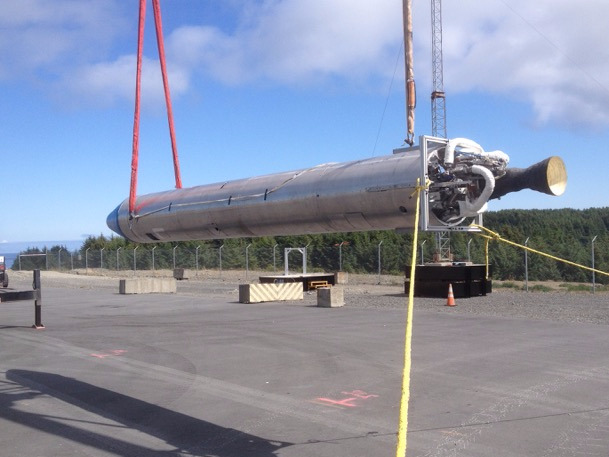 Cantrell took his idea to focus on this market to John Garvey, Vector’s co-founder and chief technology officer, who had been working on smaller rockets for years. And Vector Space Systems was born. Over time, satellites have been shrinking in both size and cost. For $25,000, Cantrell noted, you can buy pieces for satellites on the internet and have them shipped to your front door. Compare that to two decades ago when satellite parts could run you up to $5 million and might collectively weigh 300 lbs (compared to the 10 lbs they might weigh today). This allows for smaller satellites, built in greater numbers. The way the spaceflight industry currently operates, these small satellites go up as secondary payload to the larger, more expensive satellites. “They get stuck in the cracks and crevices,” Cantrell said. He compared them to loaves of bread that can be stuck here and there and used to provide stability for the spacecraft. Even worse, the companies don’t get to choose their orbit and they sometimes have to wait years before they can be launched. But, Cantrell said, these small satellites are sort of like the personal computer of the space industry — they’re where all the innovation happens. Cantrell wants to pay more attention to this market to help it grow in a similar way to what Apple did for the computer industry. By tending to this small satellite market, Vector Space will provide companies with a more personal launch experience — they will be able to choose their launch date and their orbit. But Cantrell doesn’t want to stop there. In the next few years, he plans on implementing a second phase, where Vector will embed its space expertise into expert systems that will help its customers design their own satellites. The cost of the launch could be anywhere from $25,000 to a few million dollars, depending on what the company is interested in. It’s priced like a car, Cantrell said, where you can add options. The more special services you want, the higher the price. The rockets Garvey had been designing essentially gave the young spaceflight company a five year leg up on a normal development cycle. In May, the company did a second stage engine test that was successful, an impressive feat for a company that was just founded two months earlier. Several subscale prototypes of the vehicle have already been built and one will be flown this summer. Next year upwards of three near full-scale vehicles will be sent on suborbital flights. And by 2018, Vector hopes to launch its first full scale prototype vehicle, which is currently under construction, into orbital flight. Vector is in a burning hurry to get to full operational capability on a commercial basis by late 2018, Cantrell said. Cantrell described the Vector team as an experienced, success-oriented bunch of guys who are all tired of an industry that doesn’t seem to get anything done.